I feel like our board work with the Episcopal Evangelism Society is a bit like an archeological dig. Board members travel from across the country. We are clergy and lay leaders committed to the work of sharing God’s love and empowering other to do the same. We begin as we did at Virginia Theological Seminary in May— slowly, with the exchange of stories. We catch up on our lives: work, ministry and family. We welcome new Board members, grantees and guests to our table. Then our more deliberate work begins. It’s something like the breaking of the ground at a dig site. We have an exercise that helps us get moving, so that we might make progress toward some treasure that lies beneath the surface: we share stories of where we’ve witnessed innovative evangelism happening around our churches and communities. The stories have a sweeping range from ashes atop a ski mountain to more intimate connections shared between folks who just needed an extra dose of love, who is God. Those exchanges move us below the surface with some speed. The listening is visible, palpable, and the stories are good. The following day, after we’ve worshipped together and shared a second meal, the more delicate tools come out. We’re going deeper, but moving less soil. Slowing our pace. Canon Stephanie Spellers was our guest at VTS in May, and we had the opportunity to listen to her stories of evangelistic and missional work happening across our whole country and church. She shared the vision of the PB’s Office of Evangelism and Reconciliation, and we related her work to that of EES. We’re feeling energized that the wider church is beginning to share in our long-standing passion. By now we’ve spent hours working together to see that the resources of our organization are well managed and meaningfully deployed. The finer tools come out when we have the opportunity to listen to the grant applications we’ve received. As we carefully review each request, we move around them with metaphorical picks and brushes. We work slowly to reveal each beautiful angle of the missional project proposed by emerging leaders of the church. Many reveal beautifully creative evangelistic work and it’s a delight to marvel at what our work has helped to uncover. Some crumble, either because they were too brittle or because we were unable to reveal their beauty. But there is a sense, this May at VTS and at each meeting, that we’ve uncovered some treasure that needs to be carefully curated. Finally, we make the time to evaluate our work, so that we are careful not to miss treasures hidden below surface that we have not yet probed. We talk about how we can get better at communicating what our organization does. We call our process Ask, Listen, Tell. We do our best to think forward for what the church needs not just for today but also tomorrow and the next and the next. In May, we continued our conversation about how we might reach others studying for service and leadership in the Church who might be outside the boundaries and care of our traditional, accredited seminaries. We decided to make our resources available to those creative leaders and thinkers, to folks who live in dioceses similar to the one in which I serve—Wyoming—where leadership training happens in innovative programs such as the Iona Initiative. I’ve had the blessing of serving the Episcopal Evangelism Society for a number of years as a board member. The organization and its leadership are devoted to the work of extending the love of God into places and to people where it’s not easily recognized. We’re also a listening organization, listening intently for stories of innovative evangelism within our churches and far outside their walls. I suppose we’re hoping more and more will pick up a shovel and dig. It seems to be happening. And, it’s exciting. The Rev. 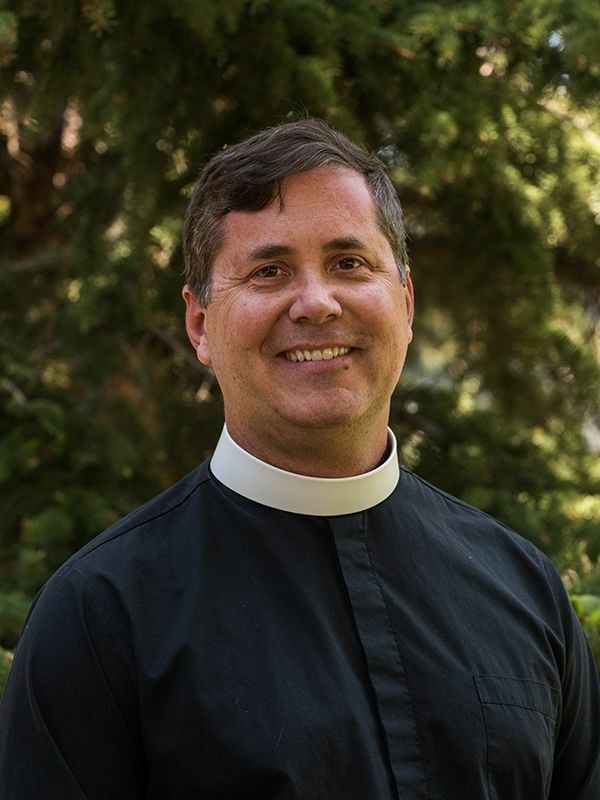 Jimmy Bartz is Rector of St. John’s Episcopal Church in Jackson, Wyoming. He has served on the EES Board as a member, as Chair, and as Director of Strategic Planning.